The semi finals in the European Champions League have Atletico Madrid playing Chelsea, while Real Madrid meets Bayern Munich. So there is a change that for the first time in 59 years of European Cups both finalists are from the same city. Here’s a countdown of the ten finals with the least travelling distances between them. At 10: the 1981 UEFA Cup final between Bobby Robson’s Ipswich Town and Dutch side AZ’67. Ipswich Town won the Cup, thanks to John Wark (Scotland) and Dutchmen Frans Thijssen and Arnold Mühren. By air the distance between Ipswich and Alkmaar is 253.38 kilometres. 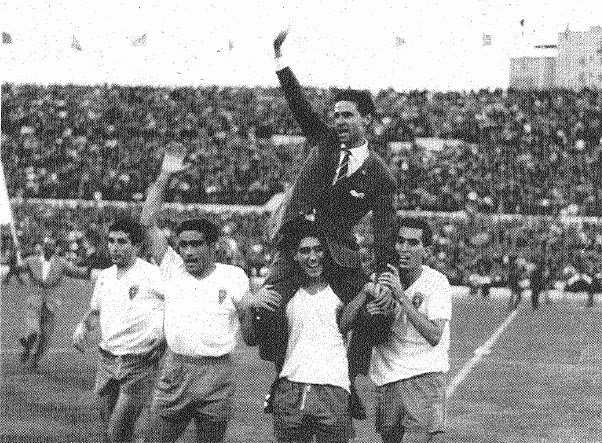 The 1964 Inter Cities Fairs Cup was between two Spanish sides, Real Zaragoza and Valencia. Valencia had won the two previous finals, but this time lost 2-1 to Real Zaragoza. Distance between Valencia and Zaragoza: 246.40 kilometres. A very exciting UEFA Cup-final was held in Rotterdam, in 2002. Feyenoord was lucky they could play this match at home against Borussia Dortmund. Pierre van Hooijdonk was decisive with two goals, while Dortmunds Jürgen Kohler was sent off after just half an hour. Feyenoord-coach Bert van Marwijk later coached Borussia Dortmund. This match stands at number 8, with a distance between the two cities of just 210.76 kilometres. Juventus from Turin had already won the UEFA Cup three times when they met another Italian club in the 1995 Final. While Juventus’ Roberto Baggio was expected to be the big star, it was Dino Baggio (no family) who scored the winner at home (1-0) as well as the equalizer in Turin (1-1). The distance between Parma and Turin is a mere 210.35 kilometres. German clubs were dominant in the UEFA Cup in the early eighties. It only led to one all-German final, when Borussia Mönchengladbach met Eintracht Frankfurt in 1980. They both had a mediocre Bundesliga-season. After a 3-2 loss away, Eintracht Frankfurt clinched the Cup, thanks to goal by unknown Fred Schaub, who died in a car crash in 2003. The 6th shortest distance is between Mönchengladbach and Frankfurt, 197.88 kilometres. During the late sixties and early seventies, English clubs won the Inter Cities Fairs / UEFA Cup six times in a row. 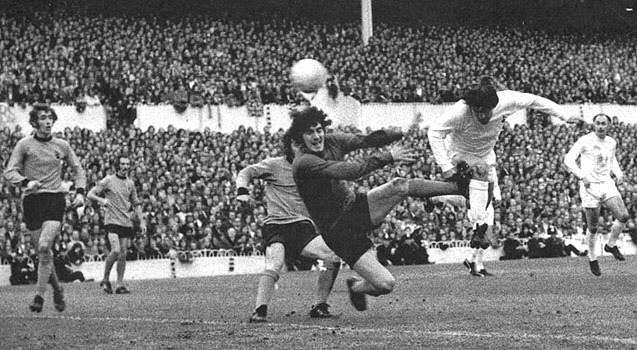 In 1972, Wolverhampton Wanderers clashed with Tottenham Hotspur. The Spurs were the favorite and did win the Cup, wining 2-1 in London and managing a 1-1 draw away from home. Number 5 in this ranking, with a distance between London and Wolverhampton of 182.26 kilometres. Cup Winners’ Cup-holder Ajax faced the Dutch oriented KV Mechelen from Belgium in the Cup Winners' Cup final in 1988 for the number 4 of this list. While Danny Blind gets a red card, Dutchman Piet den Boer scores the all-important 1-0 for his club KV Mechelen. The distance between Amsterdam and Mechelen is only 152.40 kilometres. The Champions League Final in 2003 is between Italian clubs Juventus from Turin and AC Milan. Both teams fail to score and only five penalties out of ten were successful. AC Milan wins, scoring three penalties. This is number 3, with a distance between Turin and Milan of 125.51 kilometres. Number 2 might be a surprise, because this match is not between clubs from the same country. 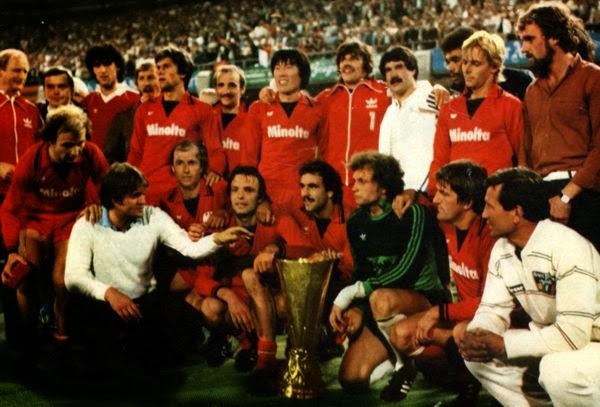 Back in 1975, Dutch club FC Twente got into the final of the UEFA Cup where they met Borussia Mönchengladbach. After a decent 0-0 in the away match, FC Twente lost at home 1-5 with Jupp Heynckes scoring three goals. Enschede and Mönchengladbach are only 119.99 kilometres apart. The number 1 is from Portugal. FC Porto and unfancied SC Braga got into the UEFA Cup-final in 2011. Big brother Porto did win it, but only by a single goal from their Colombian striker Radamel Falcao. The distance between the two Portuguese cities is only 46.11 kilometres.